Khaled Wazaefi has been working with programming and computers since as early as 1982. He has earned a Bachelor Degree in Electronical Engineering from the University of Damascus, Syria in 1996, and since then worked in the audio and acoustics field. He also holds a Master of Business Administration degree. 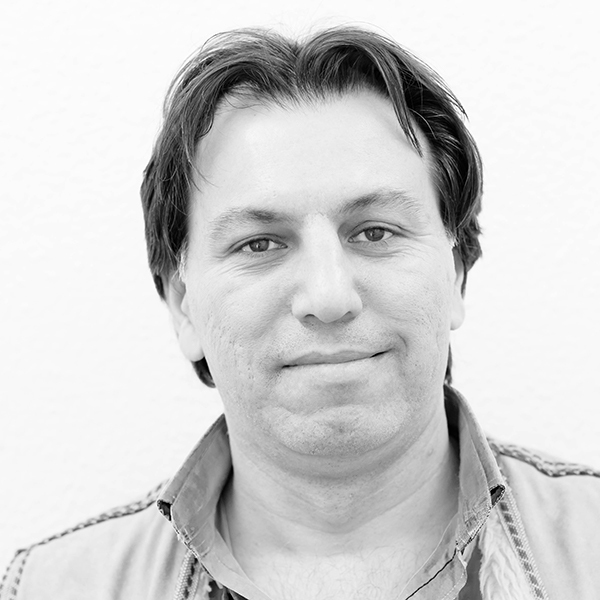 Since 2000 Khaled worked on the acoustic design and construction of several recording studios, designed the sound systems and equipment for numerous studios, concert halls, theaters, meeting rooms and others, including working on consulting projects, tenders, procurement, AV equipment installation and commissioning. He brings major experience in all practical audio aspects, sound engineering for hundreds of concerts, TV and cinema production, radio, CD recording, mixing, and mastering. Khaled has served as a tutor for sound and audio at the Higher Institute for Dramatic Art of Damascus and started working with ADA in 2014. He is fluent in Arabic, English, French and German.